The Board of Education encourages community involvement. Residents are invited to join the Board at its meetings, which are held twice monthly. Locations are selected at various school buildings across the District, with the purpose that the Board may best reach all of the people it represents. The Board communicates with the public by way of this website, Facebook, and Twitter. It also publishes an annual comprehensive newsletter, FOCUS, which provides detailed information to District residents about school programs, initiatives, and finances. The Board of Education and Central Administration team have created a joint email account to receive your questions, comments and concerns. You may contact them by clicking here. A response will be made by the Superintendent of Schools, unless your email is specifically addressed to the Board of Education, in which case the Board President or Vice-President will respond on behalf of the Board. Board of Education (Standing L to R): Mark Mann, Michael Buono, James Giordano, John Dunn. (Sitting L to R): Michele Skumurski, JoAnn Taylor, Karen Curran. Not pictured: Kathleen Curtin, Jennifer Massey. 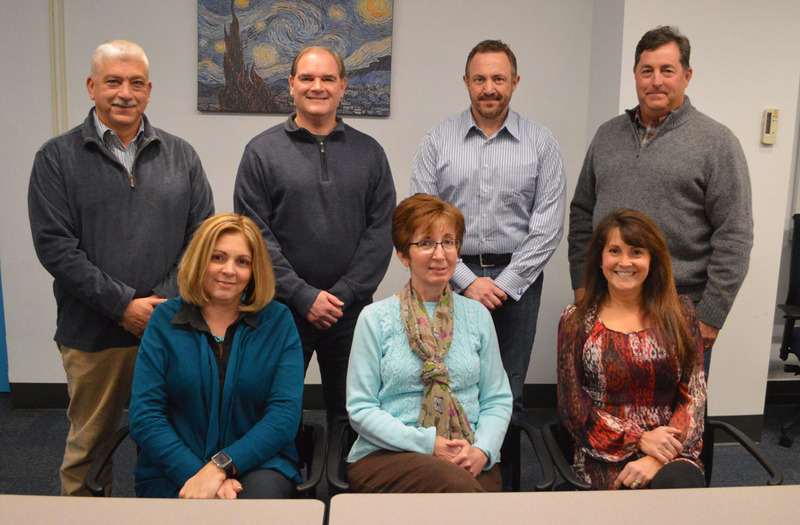 Board of Education members serve on committees with teachers, administrators, school staff, parents and community members to advise on different areas of the school district. Each of the following committees meet throughout the school year and minutes can be found in Board of Education agendas on BoardDocs. Individuals interested in running for the Board of Education may obtain information here.